We support the introduction of a Modern Slavery Act in Australia. This statement sets out some key principles to guide this reform process. Addressing modern slavery requires a collaborative effort between government, business, civil society and people affected by slavery. We support the development of a Modern Slavery Act in Australia. We welcome the Interim Report of the Australian Parliament’s Joint Standing Committee on Foreign Affairs, Defence and Trade on modern slavery. 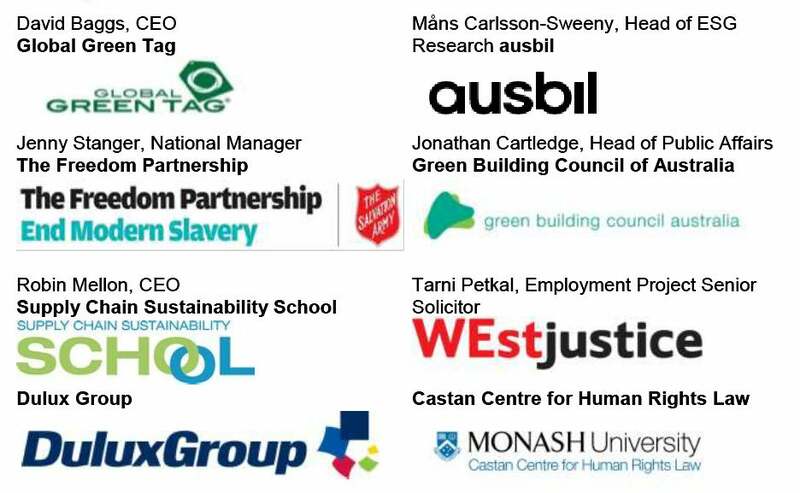 We welcome the Attorney-General’s Department consultation paper on the reporting of modern slavery in supply chains. We support a requirement that organisations that meet a significant threshold (e.g. large businesses, government agencies and others) report on modern slavery in their operations and supply chains. Responsibility should be given to an independent organisation or individual to lead and coordinate efforts in tackling modern slavery, raising awareness and supporting organisations in effectively addressing modern slavery in their operations and supply chains. 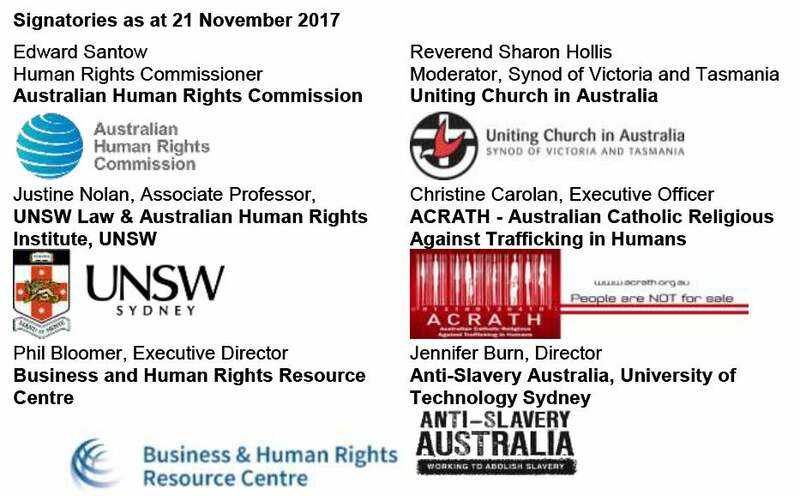 This could be achieved by the establishment of an Australian Independent Anti-Slavery Commissioner. Organisations with reporting obligations should be supported to comply with their obligations including provision of guidelines and education. There should be transparency regarding which organisations do and do not comply, and there should be drivers towards compliance (e.g. penalties and compliance incentives). We support the establishment of a government-funded and publicly-accessible repository of all modern slavery statements. Clear guidance and support should be provided for organisations that find modern slavery in their operations or supply chains so that they know how to respond safely and effectively. There should be access to appropriate information, remedies and support for victims. Public procurement is a major component of the overall economy with consequences for the enjoyment of human rights. The Australian Government should be required to comply with the proposed reporting requirement. The Australian Government should work with State and Territory Governments and lead by example in reporting on actions taken in public procurement to address modern slavery. A Modern Slavery Act and guidance should be aligned with and reinforce the United Nations Guiding Principles on Business and Human Rights. A Modern Slavery Act should incorporate a requirement for periodic and recurring review (e.g. every 3 years) to seek continual improvement and learn from the operation of the legislation in practice.